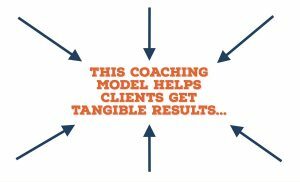 This Coaching Model Helps Clients Get Tangible Results... - Coach & Grow R.I.C.H. As a coach, are you like me and totally committed to helping your clients achieve the results (and ultimately transformation) they hired you for? And have you ever noticed that one of the best and fastest ways to support your coaching clients in experiencing huge breakthroughs and amazing results is by digging beneath the surface? …and instead goes much deeper, so that clients actually experience a “spiritual evolution” on their journey to true and lasting transformation? Well, here’s an awesome coaching tool you can download for free that will help you know when and how to do that deeper level of coaching and how to keep clients with you long-term so you CAN do the deeper level work. Ben developed the “Evolutionary Coaching Model” after coaching his clients to meet, and create successful relationships with world leaders like Barak Obama, Bill Gates, Bill Clinton and Royal Heads of State. Click here to download the Evolutionary Coaching Model. If you’ve heard of “The Enneagram” you’ll be interested in how this coaching model uses the Enneagram (a map of nine wildly different personality types) as part of your clients transformation. Go grab it now.